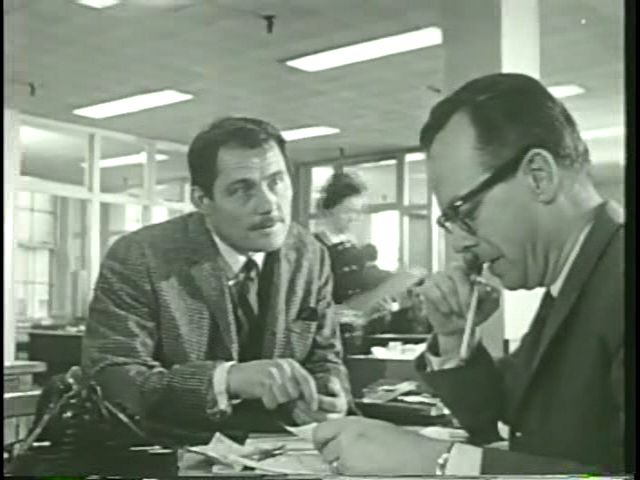 An Irish immigrant (Robert Shaw) in Montreal remains hopeful that a “job with possibilities” lies just around the corner — meanwhile, his disillusioned wife (Mary Ure) grows tired of her husband’s lies and instability, and threatens to break up their marriage. Robert Shaw shines as the title character in this tale of Irish immigrants hoping to create a new life for themselves in Montreal, Canada. 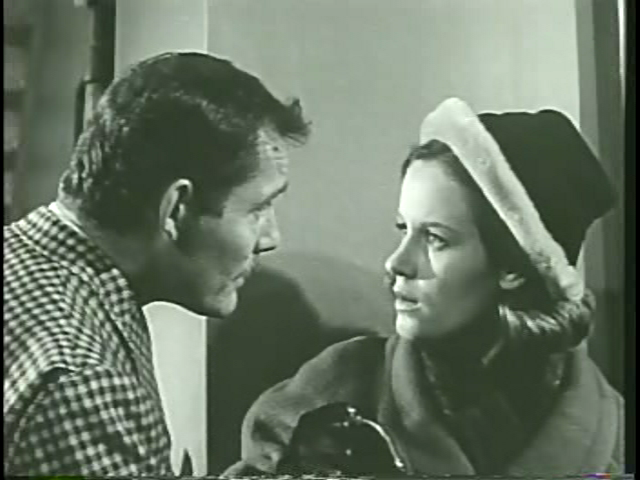 While “Ginger” is undeniably self-deluded, unrealistic, and dishonest, the strength of Shaw’s performance lies in the fact that we literally can’t help sympathizing with Ginger from the moment he appears on-screen: his face is full of such genuine good cheer (his eyes are piercingly bright) that one immediately understands why he gets so far on charisma and charm alone. 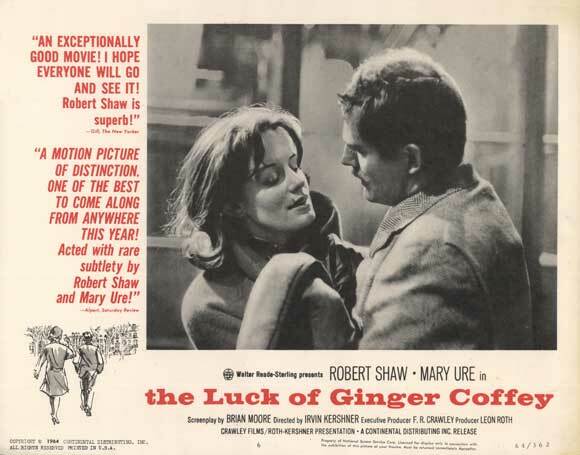 Unfortunately, despite the deceptively cheery soundtrack, circumstances quickly go downhill, as Ginger makes one bad decision after another, and his wife (played with nuance and depth by Shaw’s real-life wife, Mary Ure) suddenly realizes she can no longer count on Ginger as a reliable partner. 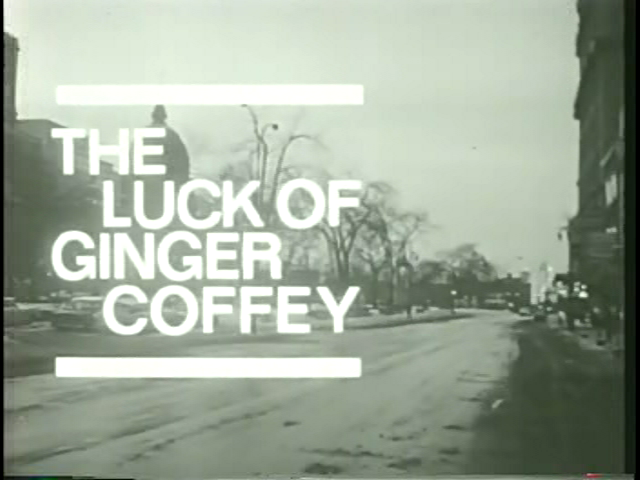 Given its depressing trajectory, The Luck of Ginger Coffey won’t be for all tastes — but it’s certainly worth a look if you can locate a copy. P.S. Director Irvin Kershner makes excellent use of Montreal locales, seamlessly incorporating several vignettes which reveal the language tensions inherent in mid-century Canadian politics. No, but it’s absolutely worth a look simply for Shaw’s noteworthy performance. 1) Its strength as a character-study film – a sub-genre that seems to appear less frequently than in days past (tho recent examples are films like ‘The Mother’, ‘Notes on a Scandal’…). What’s most interesting here is the film’s arc; the development in that direction makes it all the more satisfying. 2) Shaw’s performance (tho Ure does a nice job in a clearly secondary role). Most ffs are more familiar with Shaw’s villainous or tough characters – here we see a rare flip-side turn as someone (almost) endearing. The part supports the cliche of Irish men being talkers and dreamers – but at least this one isn’t a sloppy drunk as well. We do find ourselves feeling for him regardless, and his main character flaw is worthy of cinematic study. I agree with your post on every count. This little film works as well as it does because of its strength as a character study — thanks to Shaw’s performance. While my husband “had” to leave the room midway through (once he saw Ginger’s self-destructive decision-making pattern, and got too depressed to watch any further), I found myself continuing to be intrigued and involved despite my disapproval of Ginger’s choices. You’re right that the “sudden” shift in marital loyalty comes as a bit of a shock; this is mentioned in the NY Times’ original review, I believe. But when I thought about it some more, I realized that Ure’s excitement over heading back home to Ireland — and her disappointment when this falls through — is the realistic straw that “breaks her back”. I think we all have moments in our lives when we suddenly realize, “Wow — this person really ISN’T going to change” — and sometimes that does indeed take years, particularly if a child is involved.